In this post, you’ll find out about going to Slovenia, Hungary, Slovakia and Austria in one trip without hiring a car. Road trips are great – you hire a car and then you can go wherever and whenever you want. But: one big no: what if no one among your friends (and neither you) can drive? In my case, it was just like that. Nope, actually we had a car during just one part of our trip – in Slovenia (my brother who works in Germany visited us in Slovenia and brought to some of the great places in the country). As for the rest of our trip, well, we decided to travel by trains. Slovenia, Hungary, Slovakia and Austria are fine to visit without a car. Well, traveling by trains in the Central Europe is great (personally, I’m not a big fan of buses, so trains work for me perfectly) : there are many internal and external connections and trains go fairly often. However, it always makes sense to check the schedule in advance. Why did we explicitly choose these four countries, Slovenia, Hungary, Slovakia and Austria? First of all, we had only 8 days and we haven’t been to any of these countries before (except for Austria in my case). Moreover, there were moderately cheap tickets to Slovenia from London via Easyjet. And finally, at the stage of choosing counties somebody encountered an amazing photo of lake Bled in Slovenia and we decided “why not?”. A well deserved holiday after a harsh semester at the University of Edinburgh. Arrival to Ljubljana, 1 day in Ljubljana, 3 days in Bled, 1,5 days in Budapest, 3 hours in Bratislava and 1,5 days in Vienna. From my experience now I can say that 3 days in Bled are way too much unless you have wanted to die from boredom or want 3 days of total relaxation. But let’s go back to the trip itself. Since we arrived at Ljubljana airport very late, we had to take a taxi to the hotel (the buses already finish their service). 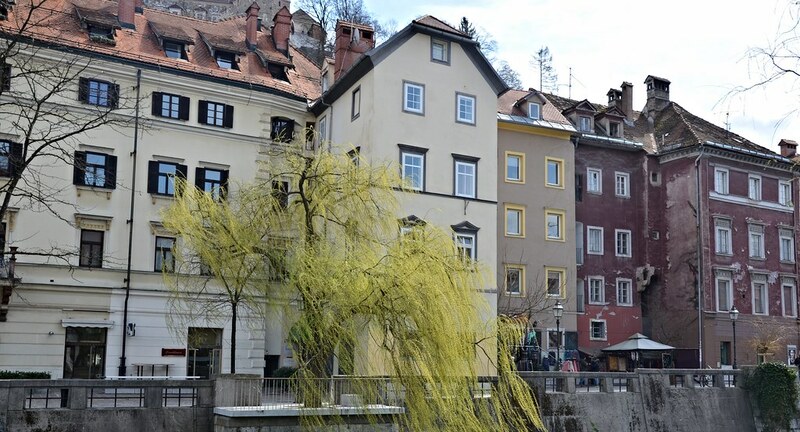 The taxi to Ljubljana city center was quite expensive – 55 euros. In Ljubljana we stayed in a hostel, which was sort of fine, not the best one, but not a bad one either. 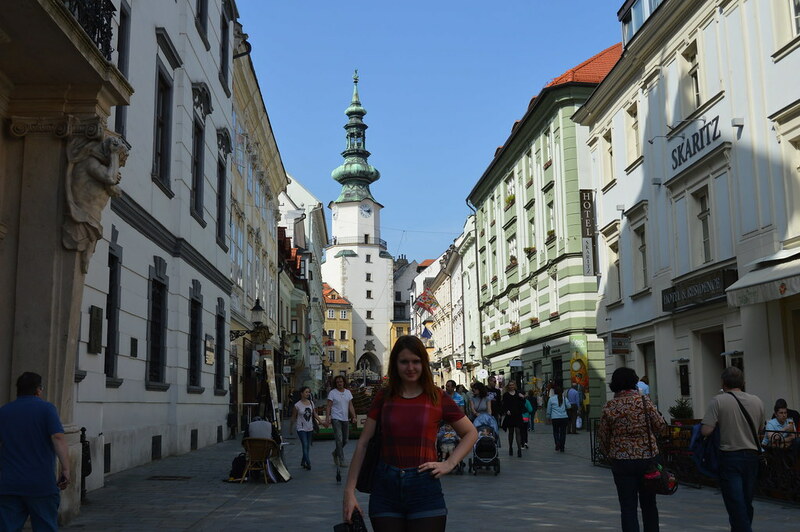 When we woke up, we went to the city center, visited a local church, walked through the streets of Ljubljana, visited the local crafts market (you can find everything easily, since everything is located in the city center). We had lunch in one of the traditional Slovenian cafes, the goulash soup was just amazing! A must-try in Ljubljana for sure. Then we climbed up the hill to reach the castle. We didn’t go in but took some nice photos of Ljubljana from above. Later we walked to the railway/bus station following the signs in order to check how to get to Lake Bled. We made a mistake by going to Bled by train – even though there is a Bled station, it doesn’t mean the lake Bled, just the town which is a 40-minute walk away from the station. So we ended up taking a taxi to our apartment. The apartment we stayed in, Muznik, was very nice and the location was also fine (10 Minutes away from the main attractions and just 3 minutes away from the bus station). In Bled there is not much to do except walking around takes as many times as possible until you get bored and also visiting the castle of the top of the hill. We had 2 full days in Bled, but for one day we decided to go to Piran by car – my brother brought us there. Piran, unlike Bled, is a very cheerful and lovely (as well as lovely) city. If you’re going to Slovenia in summer, it makes sense to stay in Piran for some time. You can enjoy tasty and not so expensive food and swim in the Adriatic Sea. When we returned to Ljubljana, we went to our train to Budapest straight away. The tickets we bought in advance. I’m not sure about the electronic tickets – haven’t found anything before our trip, so we did that in person at the railway station. The train from Ljubljana to Budapest takes around 6 hours. These hours pass nicely, though because the landscapes you see during the ride are nice. That way we saw, how do the people live in the villages in both, Slovenia and Hungary. As for Budapest, 1 full day is definitely not enough to see it. Budapest is amazing, it’s sort of mix of Prague and Paris, it has fabulous architecture, but at the same time, it’s not as expensive and posh as Paris. We stayed in a very small hostel, Opera Minihotel, which happened to be located at the main party street of the city (surprisingly, it was very quiet there). It was really close to the city center, and that zone, where we stayed, looked extremely similar to Paris (maybe because of the Opera Theatre). On the first night, we went out. I wasn’t impressed by the nightlife of Budapest, but maybe we went to a wrong place. On the next day, we went to the other part of Budapest, located across the bridge from us. We crossed the bridge, climbed up and saw probably the most impressive panorama of the city in the whole Europe! The whole day we spent walking around, found a zone of the city, which even looks similar to Saint Petersburg, Russia. We couldn’t go to the famous baths or to the Balaton lake, and I really hope that I can go back to Hungary one day to stay there at least for a week. the Thermal Baths are a must! 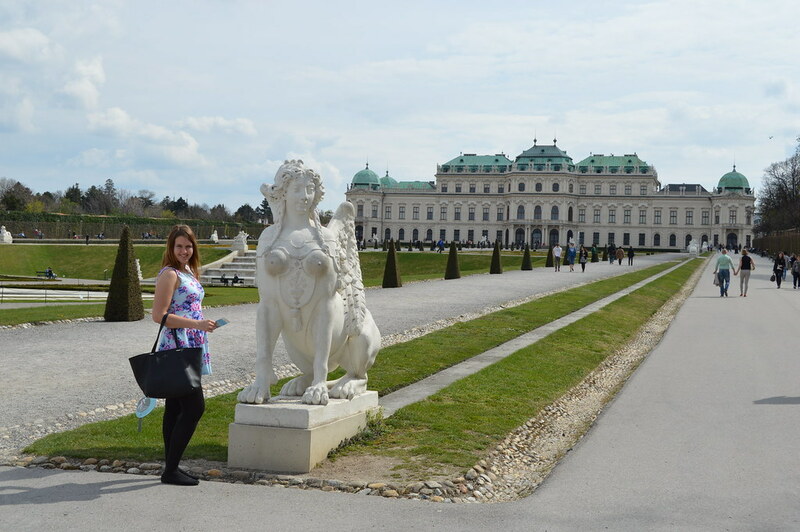 On the next day, we went to the main Railway station and bought tickets to Bratislava (the initial plan was going to Vienna right away, but we had some free time and decided to get to know one more country). When we arrived in Bratislava, we sort of felt lost. There was no information on how to get to the city center, so we just left the railway station and followed the crowd to the bus stops. I don’t remember how exactly we decided to take a certain bus, but it really brought us to the city center. The city center of Bratislava is small but very neat. 2 hours are enough to see it, though. It resembles the Czech Republic a little bit too (no wonder, it used to be one country for some time). From Bratislava it’s very easy to get to Vienna: trains go nearly an early hour, and it takes slightly more than 1 hour to get to the Austrian Capital. Austria surely requires separate posts, besides I’ve been there 6 or even more times, so I’ve got plenty of things to tell you. 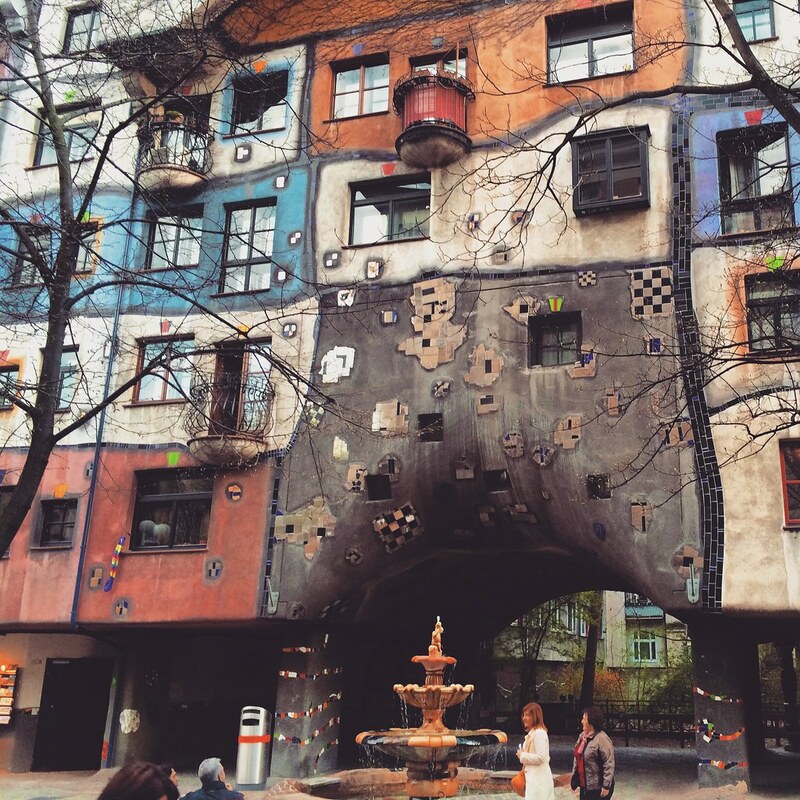 As for this trip, we stayed in Vienna 1,5 days. We chose an apartment very close to the city center (we reached Stephansdom just in about 20 minutes) and went inside for the “Nachtmesse”. Later on, we just walked around the city center, had a cocktail in the Hard Rock Cafe and had a dinner in Vapiano (very good budget option in a city like Vienna). On the next day, we went for a stroll to the city center once again, only, this time, it was in the sunlight. We passed Stephansdom again and headed to the famous Konditorei Oberlaa to try the Sacher Cake. It was super delicious! After having a coffee break, we decided to go to Belvedere and passed the monument of Soviet Soldier on our way there. In Belvedere, we looked at the “Embrace” by Gustav Klimt, which was amazing. And then had a nice Schnitzel in a cafe nearby, called Salm Brau. It was a bit overpriced, but fine for such a central location. Later, it got a bit chilly, and we went back to the apartment. To summarise, the trip to Slovenia, Hungary, Slovakia and Austria was nice. We managed to see quite a lot in not so much time. However, if I would plan similar trip now, I definitely wouldn’t stay 3 days in Bled – instead, I would spend these days in Budapest. Also, Vienna would require more days. But if you want to get just the first impression of the city, 1.5 days will do. P.S. : Need more insights about traveling to Slovenia? Read this post!